Stop laughing. 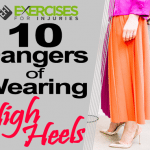 Yes, I am going to talk about high heel pain today. I was a little bored so I got thinking about high heeled shoes. I know it is summer and I should be thinking about sandals and flip flops but we will get to that another time. Back to high heeled shoes. I had a fitness professional ask me what I thought about high heeled shoes. 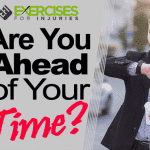 Are they a good thing or a bad thing when it comes to the body and injuries? Once again, I have my opinion, thoughts and knowledge but it is always nice to dig into the research and see what we can find. It was amazing what I found in the research when it came to high heels. 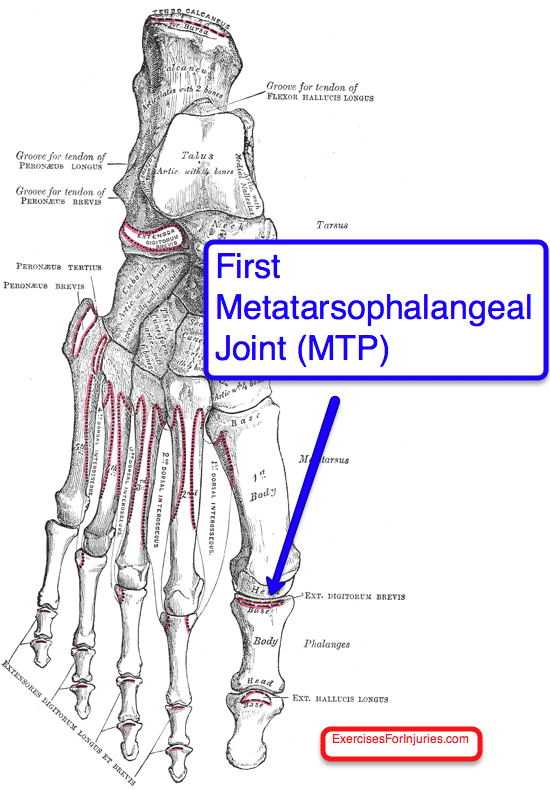 In this article they looked at the joint reaction force of first metatarsophalangeal (MTP – The first joint from the foot in the big toe) during toe-off phase of gait while walking in bare feet and in high heeled shoes. What they found was high heeled shoe walking forces in the big toe were twice as high as in bare foot walking. Conclusion – If you have foot pain or injury in your toes, wearing high heels will make it worse or slow down recovery. Where to get more information – McBride ID, Wyss UP, Cooke TD, Murphy L, Phillips J, Olney SJ. (1991). First metatarsophalangeal joint reaction forces during high-heel gait. Foot Ankle. 1991 Apr;11(5):282-8. Osteoarthritis of the knee is twice as common in women as it is in men. The researchers wanted to see if high heeled shoe wearing could be the cause. They got women to walk in high heeled shoes and in bare feet and looked at the forces in the knee. 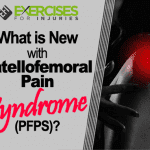 Conclusion – High heeled shoes increase the stress on the knee that can lead to patellofemoral pain or osteoarthritis. Where to get more information – Kerrigan DC, Todd MK, Riley PO. (1998). Knee osteoarthritis and high-heeled shoes. Lancet. 1998 May 9;351(9113):1399-401. The researchers looked to see if wearing wide heeled shoes had similar knee tourque as narrow heeled shoes. Wide heeled shoes had a 30% greater effect on peak external knee flexor torque compared to walking bare foot. Wide heeled and narrow heeled shoes increased peak knee varus torque by 26% and 22%. They concluded that wide heeled shoes cause abnormal forces across the patellofemoral and medial compartment of the knee which are typical sides of degenerative changes to the knee, for example knee osteoarthritis (OA). Conclusion – Both wide and narrow heeled shoes increase the stress on the knee and could lead to a knee injury. Where to get more information – Kerrigan DC, Lelas JL, Karvosky ME. (2001). Women’s shoes and knee osteoarthritis. Lancet. 2001 Apr 7;357(9262):1097-8. The researchers wanted to look to see if wearing moderate heeled shoes (1.5 inches or 3.8 cm) in height increased knee joint torque in women. The cool thing in this study is they got a group of 20 year old women and 75 year old women to participate in the study. They did not compare to bare foot walking. They had a control shoe that they compared to. The early stance phase knee flexor torque increased by 19% and 14%. The peak flexor torque was 7% higher in heeled shoes in elderly women. What they advise is that people with knee osteoarthritis not wear moderately high heels as there is an increase in the knee torque in the knee that will help in the development and progression of osteoarthritis. Conclusion – Even moderately heeled shoes increase the stress on the knee which can promote osteoarthritis. Where to get more information – Kerrigan DC, Johansson JL, Bryant MG, Boxer JA, Della Croce U, Riley PO. (2005). Moderate-heeled shoes and knee joint torques relevant to the development and progression of knee osteoarthritis. Arch Phys Med Rehabil. 2005 May;86(5):871-5. I know what you are thinking, this Kerrigan person has a real fetish about high heels. Maybe she has a passion for high heeled shoes and has taken it to Harvard. She also did another great article that I reviewed a little while back. It was on exercise for the elderly. Let’s get back to men and high heeled hoes. They looked to see if men’s dress shoes and sneakers increased the knee joint torque and could lead to the development and/or progression of knee osteoarthritis as in women’s high heeled dress shoes. They looked at men walking in dress shoes, sneakers and bare feet. There was an increase in external knee varus torque in early stance with dress shoes and sneakers but they found this was due to the increased speed of walking in shoes. It looks like men’s dress shoes and sneakers do not significantly increase the risk of OA. Conclusion – Men, feel free to wear high heeled shoes. They are not bad for your knees. Where to get more information – Kerrigan DC, Karvosky ME, Lelas JL, Riley PO. (2003). Men’s shoes and knee joint torques relevant to the development and progression of knee osteoarthritis. J Rheumatol. 2003 Mar;30(3):529-33. 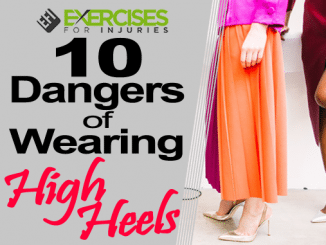 As I wrap up this article, I fear that I am going to become the high heeled injuries guy. 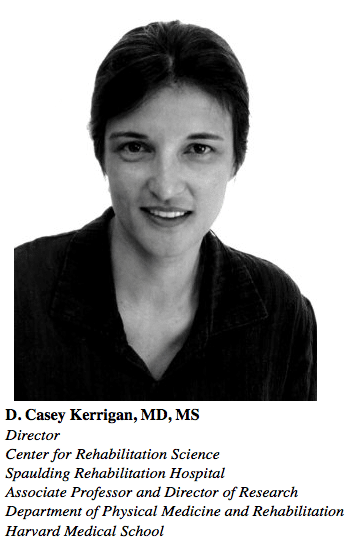 Please do not give me that label, the real expert is Dr. Kerrigan. Thanks for reading and if you get knee pain when you walk around in high heels, now you know why. 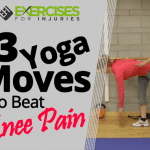 If you know of a friend that gets knee pain when they walk around in high heels, make sure to send this article to them. Off to put on my runners and going running. It is my high heel day off. P.S. – I don’t want to say this is the end of high heels. I marked another 11 articles on high heels. I will hold off for a few weeks before I get to them. At a quick glance, there is some interesting stuff in them. Now that is it, later. 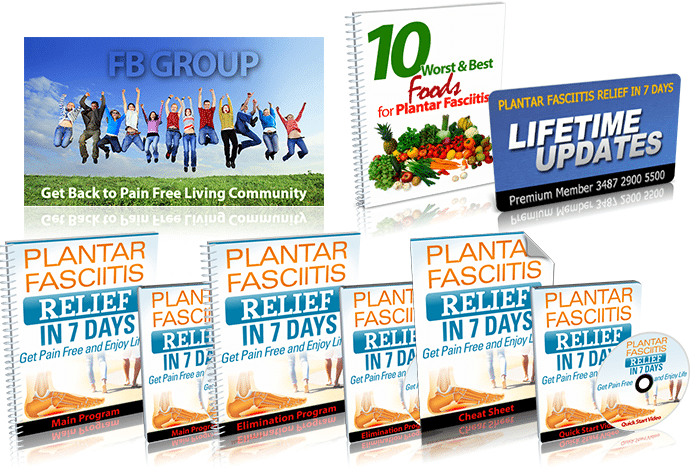 If you need an exercise program to help you with your foot pain or plantar fasciitis, then check out Plantar Fasciitis Relief in 7 Days out by clicking here.